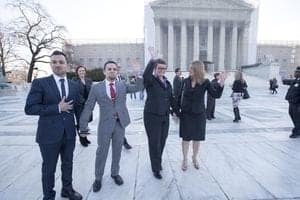 “The Case Against 8,” the new HBO documentary about the legal challenge to California’s marriage equality ban, buzzes with the kind of dramatic tension a seasoned screenwriter might employ. But Ben Cotner and Ryan White’s remarkable film has something no Hollywood film on Proposition 8 could ever hope for: the verisimilitude of reality. 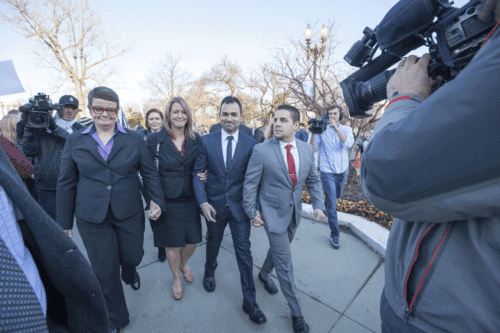 The lawsuit against Proposition 8 was filed in May 2009; the case’s final resolution came on June 28, 2013. During the four years that the case tangled and twisted its way from a San Francisco courtroom to the U.S. Supreme Court—and during the intervening year until the film’s theatrical release on June 6 and its streaming release on HBO this coming Monday—White and Cotner made a film that reminds us just how important the Prop 8 case and its accompanying trial were to advancing the conversation about marriage equality to where it is now. During my interview with Cotner and White earlier this week in New York, one day before they jetted off to San Francisco, where their film opens the Frameline Film Festival tonight, one thing became abundantly clear to me: this is the kind of story that a documentary filmmaker dreams about telling. And just as importantly, the two directors’ five-year journey demonstrates that one of the most significant aspects of the Prop 8 case—one which it is almost difficult to recall now, after so many remarkable LGBT rights victories—was that absolutely nobody had a clue how the case would turn out. They weren’t kicked out, but they weren’t sure they would end up at the end of the project with a film. “It was really several years of us being completely nauseated by the idea that we’d put all this work into it without really knowing whether it would have an ending,” Cotner told me. Because of that, the two filmmakers—both gay Californians themselves—documented every meeting they could, no matter how seemingly insignificant, for a total of some 6,000 hours of footage. After some legal wrangling, it was determined by the U.S. Supreme Court that cameras would not be allowed to record the Prop 8 trial in district court, meaning Cotner and White would have no footage from this most human part of the case to include in their documentary. So they did something risky—“our Hail Mary,” White called it: they had the plaintiffs—Kris Perry, Sandy Stier, Paul Katami and Jeff Zarrillo—each re-enact the testimony that they gave in the courtroom in January of 2010, reading directly from the transcripts of their own words. “We both thought it was going to be a bad idea,” White told me. “And they were all amazing. Listening to each of them reread—everyone was just sort of captivated by them.” Those in-studio reenactments form the heart of “The Case Against 8,” both figuratively and literally, coming as they do at the exact middle of the film. Of course, when the plaintiffs first spoke those words in San Francisco, nobody knew they would succeed before the Supreme Court—or even if the case would make it that far. “It really wasn't until the Supreme Court granted cert,” Cotner said, “that we could say, OK, we know this is a 3-act film and it has an ending. Whether it's a good ending or a bad ending, we know we have a film." But what ending would it have? 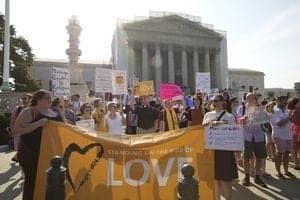 There were three possibilities: a nationwide pro-equality ruling (the big win), a decision on standing that would lead to the return of marriage equality to California but nowhere else, and a devastating anti-equality ruling that would grieve LGBT hearts from coast to coast. “Any of those three outcomes were OK to us as storytellers,” White told me, “because they’re all a good ending”—from a filmmaking perspective, at least. Luckily for the plaintiffs—and all LGBT Californians—the high court’s decision did bring marriage equality back to the Golden State. 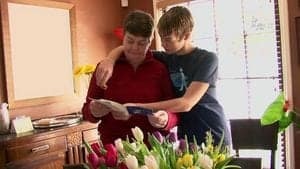 And with the help of the Ninth Circuit, marriage returned in a most unexpected way: just two days after the Supreme Court’s ruling, more than 20 days before anybody thought it would. “I was in my car,” White told me, recalling the day. “I got a text from someone at AFER saying, don’t ask any questions, just drive to the airport right now and go to San Francisco.” And so he did, slightly miffed, because he and Cotner had received similar missives and dropped everything only to have nothing happen. “It’s not going to happen today,” White remembers thinking, but then came the call that the court’s stay had been lifted. “It was like an action film,” White said—their driver flew through the city, hopping curves and racing for City Hall, where White’s camera equipment set off every alarm in the security line and a sharp-eyed guard, recognizing the history of the moment, pulled White aside and said, just go. Meanwhile, Cotner was in Los Angeles with two of the plaintiffs, Paul Katami and Jeff Zarrillo, fighting their way through traffic to a county clerk’s office in Norwalk. When they arrived, confusion reigned in the office, and they were asked to step aside and wait, since the office had not yet received notice of the court’s lifting of the stay. “That, after four years and all of the work that Paul and Jeff had put into this, was such a sucker punch.” Incredibly, California Attorney General Kamala Harris was reached on the phone and personally instructed the Norwalk office to issue the marriage license—a phone call that Cotner and White were lucky enough to film from both sides, and one that shines in their documentary. “It was one of the best days of our lives,” White told me. He and Cotner had expected they would have a full 25 days before the stay was lifted to plan for the couples’ weddings—and the logistics of shooting them. In the end, though, he says it was a blessing that things happened the way they did: “I don’t think it would be as amazing of an ending if it wasn’t so rushed and frantic and confusing and then celebratory." In a way, “The Case Against 8” is just like, well, the actual case against 8: a high-stakes, multi-year project with no guarantee of success at the outset. But even knowing the eventual outcome of the legal challenge, it’s impossible not to be moved by the way Cotner and White’s film shows us the abounding humanity of the case’s plaintiffs and of the lawyers who told their story. Actually, it’s all of them. The human story was always the secret weapon of the legal challenge to Proposition 8, and it’s the secret weapon of “The Case Against 8” as well. The HBO documentary “The Case Against 8” will debut this Monday, June 23rd.